This is a NO PREP Bulletin Board ready to PRINT & GO! 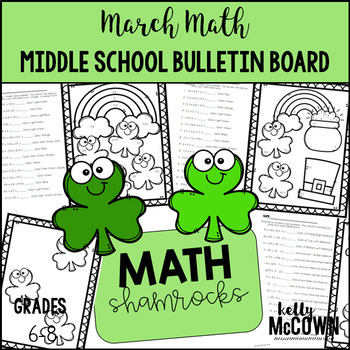 Students create Shamrocks through Math and you display their results on a Bulletin Board. Students love creating these Math Shamrocks for March! -ANSWER KEY & Rubric are both included for EASY grading! I hope this brings Good Luck to your Bulletin Boards too!